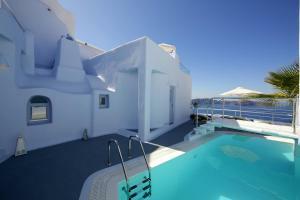 Offering an outdoor pool, Ikastikies Suites is located in the town of Firostefani. 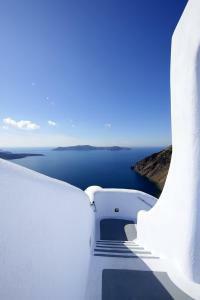 It is a complex of Cycladic-style accommodation with a balcony or patio overlooking the caldera and free Wi-Fi. 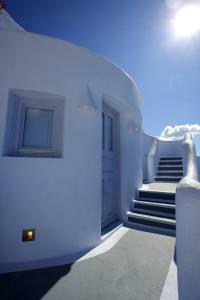 A spacious and elegant suite with curved walls. 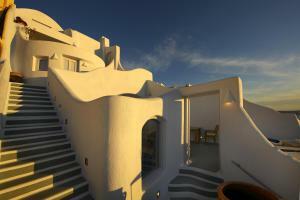 It has a kitchenette and a colorful bathroom with a spa bath or shower. 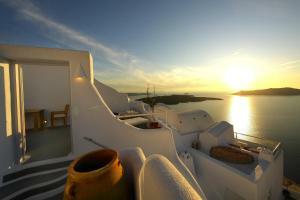 This spacious suite features a private pool with a terrace and offers views of the Aegean Sea and the volcano.